The walkers of The Walking Dead TV series have entered the city of Ostend today as demonstrated by this video. The only way to fight them is to go to Reflex arcade to stick arrows to their head! Yes, the originality of this cabin shooting game is the weapon used: a crossbow-shaped controller. Of course the atmosphere is oppressive, the graphics beautiful and zombie's blood spits everywhere! The staging of the game is very cinematic like previous shooting games by developer Play Mechanix like Terminator Salvation and Aliens Armageddon. 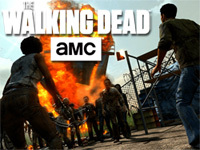 The Walking Dead video game has just come out and it's a first in Belgium! So don't miss this opportunity to play it first and share your impressions in the dedicated topic on our forums. Reflex is open today from noon and will be accessible on Saturday and Sunday from 11:00. SNK has announced a new The King of Fighters anime series. The King of Fighters: Destiny is a CG animated series featuring 20 episodes that will be out this Summer. This a Chinese production, the staff is mainly Chinese but there are also Japanese artists that will work on it: the team in charge of the special effects of Kingsglaive: Final Fantasy XV. 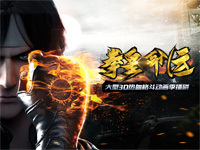 We don't know if The King of Fighters: Destiny will be broadcast outside of China but according to the official website, all characters have both Chinese and Japanese seiyu. 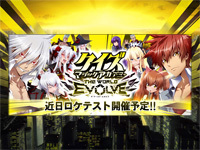 Characters announced are: Kyo Kusanagi, Benimaru Nikaido, Doro Daimon, Terry Bogard, Andy Bogard, Joe Higashi, Ryo Sakazaki, Robert Garcia and Yuri Sakazaki. 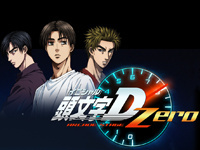 SNK has already released a trailer. 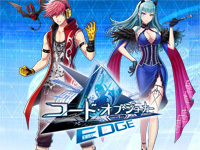 A new version of Code of Joker from Sega will be releaded in the middle of April and will be named Code of Joker EDGE. Two new characters will be added: Chloe Nochez (CV: Rina Sato) and Takeshi Akahane (CV: Yusuke Kobayashi) and 60 new cards will be released. New features will be available. Two campaigns are running in Code of Joker S to celebrate the release of the new version: "Countdown campaign" and "Soundtrack gift campaign". 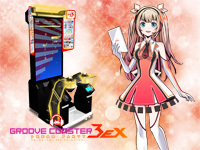 Today, Taito presents a new version of its musical game: Groove Coaster 3EX Dream Party. New songs will be added during the month. Today, 9 new songs (Girls & Panzer, Period Zero, Granrodeo, ...) and 3 renewal (Neon Genesis Evangelion,...) are playable and on March 27, 2 other songs (Vocaloid, Touhou Arange) will be available. Groove Coaster 3EX Dream Party introduces a new navigator: Yume, a pink haired girl. Taiko no Tatsujin: Yellow Ver. The new Taiko no Tatsujin is out today! 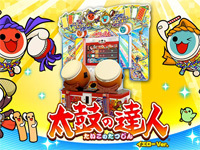 Taiko no Tatsujin: Yellow Ver. was presented on Bandai Namco stand at JAEPO 2017 in February. This upgrade features a yellow theme representing Spring. The game has not changed much, the only difference with the previous version (Red) is about the song list. There are 16 new songs. 12 are available immediately (Your Name, Pokemon Sun & Moon, Osomatsu-san, Splatoon,... ) and 4 are available in the reward shop. Quiz Magic Academy The World Evolve was presented at JAEPO 2017 in February. 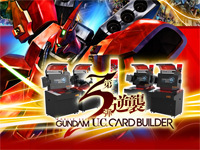 The game will be available in Japanese game centers tomorrow. 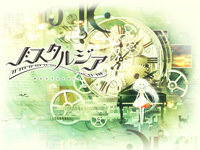 This new version of the famous quiz game from Konami introduces a new female character named Vany. You can watch the trailer here.